Anybody who’s watched Forks Over Knives knows the powerful effect a plant-based diet can have on their health. Now, research at Harvard suggests that roughly one-third of early deaths—that amounts to almost 200,000 lives a year—could be prevented if everyone moved toward a plant-based diet. That number comes from new, not-yet-published research led by Walter Willett, M.D., professor of epidemiology and nutrition at the Harvard T.H. Chan School of Public Health and professor of medicine at Harvard Medical School in Boston, who discussed his findings at the Unite to Cure Fourth International Vatican Conference in Italy April 26–28, 2018. “We have been doing some calculations looking at the question of how much could we reduce mortality [by] shifting toward a healthy, more plant-based diet, not necessarily totally vegan, and our estimate is about a third of deaths could be prevented,” Willett said during a panel discussion on plant-based eating. Watch the entire panel discussion, which also features Dr. Neal Barnard, founder of the Physicians Committee for Responsible Medicine; Dr. Francesco Branca of the World Health Organization; Dr. Patrick Brown of Impossible Foods and Stanford University School of Medicine; and Dr. David Jenkins of the University of Toronto. Karen Asp, MA, is a leading journalist and author who covers fitness, health, nutrition, pets, and travel. A former Woman’s Day contributing editor, she writes regularly for dozens of publications, including Better Homes and Gardens, Cooking Light, Cosmopolitan, Delta Sky, Eating Well, Family Circle, Good Housekeeping, Harper’s Bazaar, Martha Stewart Living, O, Organic Life, Prevention, Real Simple, Runner’s World, Shape, USA Today, Weight Watchers and Women’s Health. She is the author of Anti-Aging Hacks: 200+ Ways to Feel—and Look—Younger. 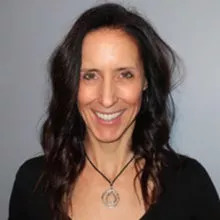 Karen is also a fitness professional, health advocate, plant-powered athlete with several Nordic walking world records, and a Plant-Based Nutrition Certificate graduate through eCornell.